Strategy, creative and content for brands that are good for the earth and good for the soul. Successful companies blend smart marketing with graceful design to accomplish their objectives and grow their brand.  We combine our expertise in strategy, execution and creative to bring comprehensive marketing solutions to clients. We bring the brands we work with to life so they can fulfill their missions in our communities and the world. We believe it’s critical to support our client’s products and purposes in order to produce superb work. We choose to work with sustainable technologies, businesses that support the community, organic and local food production, renewable energy and organizations with a small carbon footprint to help them compete in the market. It just makes sense. We march to the beat of our own drum and aren’t ones to back down from things we believe in. Whether it’s natural health, beauty, & wellness, community betterment organizations, or human and animal rights; we want to work with like-minded clients whose do-good message we respect. We take care of their marketing so they can take care of the world. Have a product or mission that deserves to be seen and heard? We’ll help you get the word out.